We believe that foam Inlays/Inserts are the perfect choice for protection and presentation, whether it is a product you would like to display, an item you would like to protect or even a toolkit, it’s the right option for you. The foam is CNC router cut for a precise, tight fit with provision for ‘finger lift out’. Black foam and many different Polypropylene plastic surfaces are standard. You have the choice if you would like a hard plastic surface for durability and the colour or just the foam without the Polypropylene layer. Other colour foam and plastic combinations are available depending on the quantity required. The contrast of the two colour foam provides an excellent way to help you keep track of your parts or tools, missing items clearly standing out due to the colour foam inlay system. The foam layouts can be in a tray liftout form meaning that your tools or products stored in the foam will be arranged, one on top of the other or the foam can fill the area and is fixed to the base. Henchman is able to supply you with a Tool Case, Transit Case, Tool Wagon, toolbox or you can purchase custom foam to fit what ever the requirement. Speak to one of our team members today to find out more. 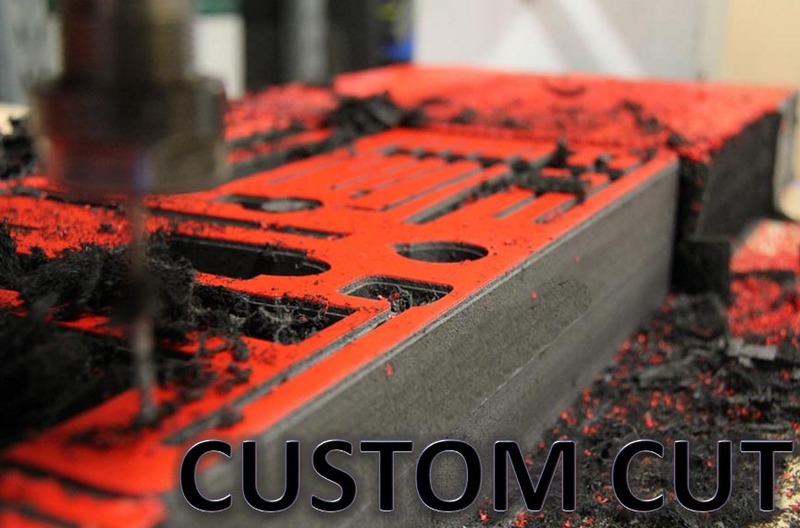 You can send your own equipment, tooling etc to us and we can arrange and cut a custom foam to suit your own case, tool box, cabinet or what ever the requirement. We are able to do any layout so this means you can decide the layout you want or if you are not sure of what is best our CNC specialists can help you with the arrangement. OR Henchman can supply you with the tooling required, the case or cabinet required and the layout that you are wanting in your foam. Check out our full website to see our quality tooling and storage systems.